The Firestone F-2 Guide Grip 4 Rib tire is a front tractor tire with a wide four-rib design for most types of farming. The Firestone Champion Guide Grip 4-Rib front tractor tire features a four-rib design for great hold, high flotation and side slip resistance. With a specially fortified rubber tread compound that resists stubble puncture and tire erosion make the Firestone Champion Guide Grip 4-Rib front tractor tire an ideal tire. The Firestone Champion Guide Grip 4-Rib front tractor tire was specially designed with a self-cleaning tread for positive steering. 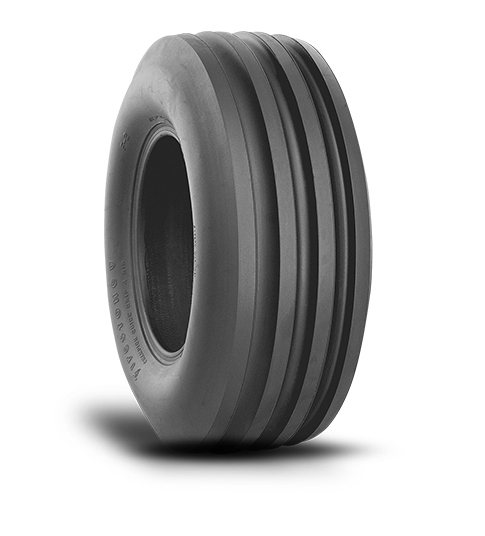 For the Firestone Champion Guide Grip 4-Rib front tractor tire, call or order from our online tire store today. Firestone manufacturers tires for many of the most popular tractors and farm equipment in use today. Each of these tires is purpose built to fit a terrain, application or machine. Firestone tire builds farm tractor tires, implement tires and agricultural tires. One of the many tractor tires they build is the Firestone Champion Guide Grip 3-Rib Tire.